Look north on a clear day in Milan and you might just make out the peaks of the Swiss Alps, which rise along the Italy–Switzerland border in a sweep of mountains, lakes, and villages. Here's how to see it all up close on a day trip from Milan. St. Moritz is about 100 miles (165 km) from Milan, while Zermatt sits about 143 miles (230 km) away. Each can be reached from the city via a three- to four-hour train ride. 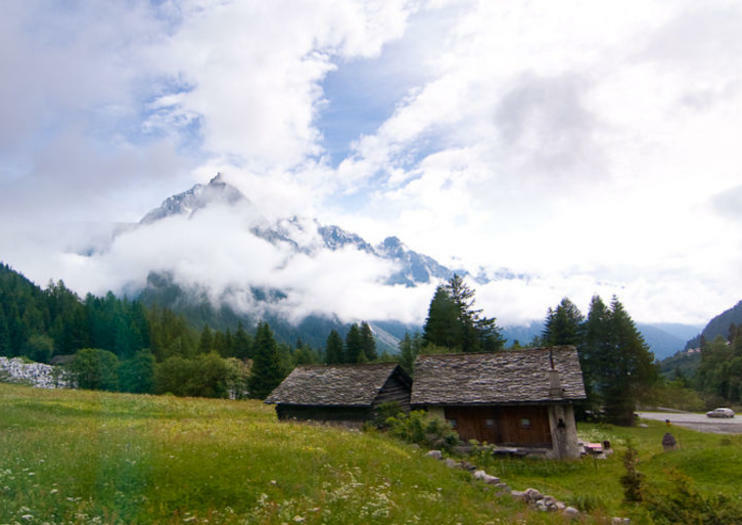 The Swiss Alps are stunning all year round, so when to visit depends on your interests. If you'd rather sightsee than ski, consider late March through early May, when the conditions aren't quite so wintry but still involve snow. Those interested in a Bernina Express day trip to the Swiss Alps should know that the experience is just as much about the journey as it is the destination. These tours can run upwards of 13 hours, with about two hours spent in St. Moritz and the rest spent seeing alpine vistas of mountains, lakes, and pinewood forests. Sit on the left side of the train for the best views. Switzerland isn't part of the European Union, so be sure to check visa requirements before you travel. Aside from your passport, you may also want to exchange some money into the local currency—Swiss francs are the legal tender in Switzerland, not euros.